time with St Matthew's and Grace Episcopal Church in Pine Bluff. Most of her ministry has been in smaller church communities. These church offer people the hands on experience of faith," says The Rev Lorrie, "we all know each other, kids adults, men and women, and we all bring our faith forwards each time we meet. We grow together in our discernment, and in our spirituality. This is real church, where faith and community come together." Lorrie was born in Connecticut, lived in Montana, and Texas, and now Arkansas. She is married to Dave who you can hear singing the base notes on Sunday morning. Dave and Lorrie have two adult daughters. The Rev Lorrie enjoys playing her dulcimer, talking to her talking bird, bicycles, motorcycle, and a good theological discussion. 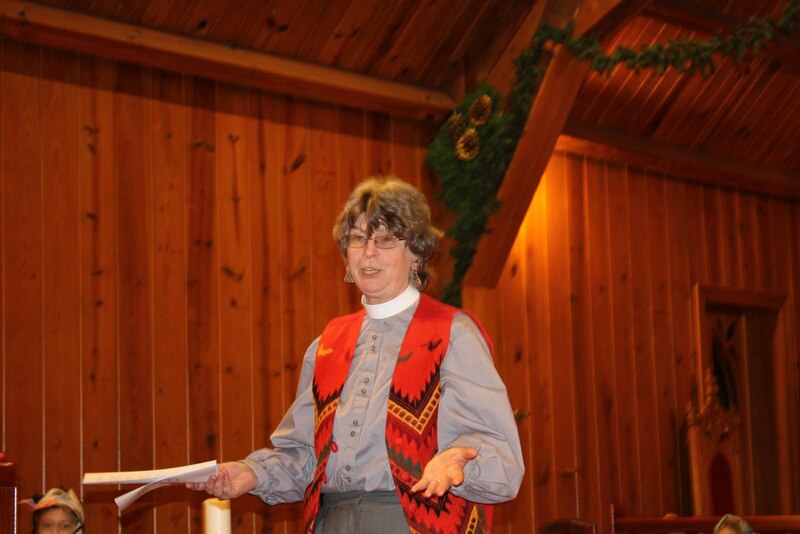 The Rev Nancy Cook, Deacon joined St Matthew's in 2016. Nancy began her studies for the Dioaconate in California where she had lived for 50 years working in many hospitals as a nurse, a marriage and family therapist and a medical Social Worker. Nancy explains her work in her own words, "I tell people that being a Deacon is like being a Social Worker only I can talk about God now!" Nancy continues, "I am blessed by having 3 children who live all over the country, 5 grandchildren (2 of whom we raised from the ages of 2 and 4), 2 great grandchildren and another due imminently. I was also blessed to have been married to a wonderful man (Chuck) for 36 years. He passed away from Cancer 16 years ago, and he would have loved where I have ended up in this wonderful church." Judy Matthew's is our Church Organist. We are so very happy to have her as our musical leadership. Judy began playing for us in 2013, working both as musical adviser to our youth and as our congregational organist. She brings a joyful sound to all our voices. Debbie Handsen is the church treasurer. She keep us us up to date with the financial health of St Matthew's. She will be happy to work with you for a record of your financial support for your taxes or in setting up a up a stewardship plan, Debbie is also a worship leader at our 8:30 worship. Andrea Billingsley works off campus as an "as needed contractor." She prepares weekly bulletins, and compiles projects for the Vicar and Treasurer.